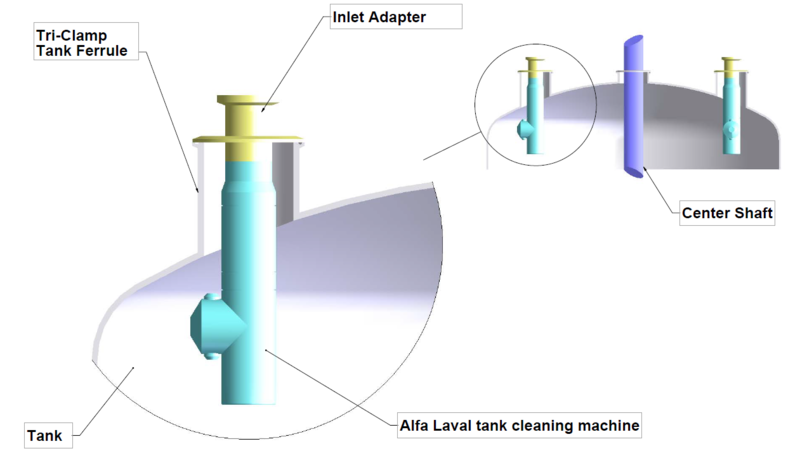 In continuing Alfa Laval's mission to provide customers with complete tank cleaning solutions, we offer a wide variety of inlet connections, either standard or custom design. Standard designs include Tri-Clamps, NPT's, R-clips and camlocks of varying sizes. Custom designs include extended inlet shafts welded directly to the Alfa Laval tank cleaning machine to ensure a tight sanitary design. Custom flanges or sanitary caps of any size and manway covers, etc. are available.